Our portfolio analysis software, SmartFolio, is a highly advanced, easy to use analytical tool to assist and enhance the management of investment portfolios according to the investor’s risk profile. 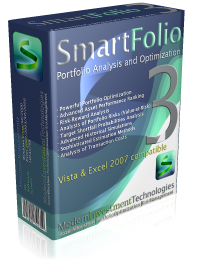 SmartFolio is a state-of-the-art asset allocation software aimed at all types of investors and investment professionals. Active SmartFolio users include institutional portfolio managers, investment advisors and sophisticated private investors. SmartFolio contains advanced asset allocation, portfolio optimization and risk management techniques, based on the most recent achievements in portfolio theory . The software combines highly advanced and innovative analytics with a user-friendly, intuitive interface, perfectly suited to any level of expertise and experience. Feedback from SmartFolio users now available! 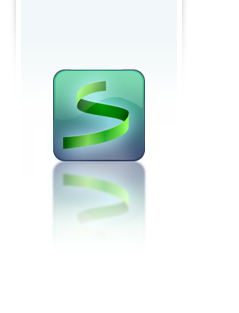 Sales of SmartFolio to commercial users were frozen on March 1, 2014. This is due to the company partners' focus switching to portfolio management and arising conflict of interest that had to be resolved. Existing SmartFolio clients aren't affected: they will be able to roll their annual licenses and get support as before. If you'd like to roll your license please contact us directly. Non-commercial users (university professors and researchers) continue getting access to SmartFolio without any limitations both for themselves and their students, with limited support. If you are a student and you'd like to use SmartFolio in your project, please ask your tutor to contact us. Free upgrade from previous versions! The standard approach still taken by most investment management and portfolio optimization software packages is essentially based on the one-period model proposed by Harry Markowitz in 1952. This model is overly simple, and while it is computationally efficient, it also suffers a number of serious drawbacks. These drawbacks are listed below with information on how SmartFolio handles each of them. Since the Markovitz model is single-period, you are not allowed to rebalance your portfolio during its lifespan. This might be OK for short-term investments, but is a serious problem for long-term investment plans. We have placed continuous-time portfolio theory at the heart of SmartFolio. This approach is much more realistic as it enables you to rebalance your portfolio from time to time. Using our built-in tools, you can construct portfolio strategies that not only benefit from rebalancing, but also minimize rebalancing transaction costs. The Markowitz model assumes that the parameters which define market state are known. This applies to the expected returns and volatilities of assets, as well as asset interdependencies, measured using correlations. This assumption together with the common practice of replacing these values with their sample counterparts leads to unjustifiably risky portfolios with weights concentrated in a small number of assets. As a result, in the real world, portfolios obtained in such a way often perform quite poorly. incorporation of investor's subjective views into the estimation process by means of the Black-Litterman model. Walk-forward optimization that tests "optimal" portfolios out-of-sample. Markowitz assumed that asset returns are normally distributed. Unfortunately even such "regular" assets as stocks and bonds deviate slightly from normality. This is particularly true for more complicated financial instruments such as derivatives or hedge funds. Along with standard analytical methods that utilize normal distribution of returns, SmartFolio includes tools that enable you to test and optimize your portfolios directly on historical data. "Normal model" approach is by far more computationally efficient and stable, while the "historical simulation" approach gives you more realistic results especially when performing risk analysis using Value-at-Risk. Thus, combining these two methods allows you to achieve the best result. Portfolio selection in the Markovitz model is based on the Risk-Reward criterion: first you define an acceptable level of portfolio variance, and then you find the portfolio that maximizes return for the given level of risk. The problem with this approach is that variance is highly inadequate as a measure of risk; even when a portfolio’s returns satisfy the "normal distribution" condition, its financial sense remains obscure for the investor. An alternative approach that exploits utility functions suffers from another weakness; an investor’s risk-aversion coefficient, which defines his utility function, is very difficult, if even possible, to estimate. 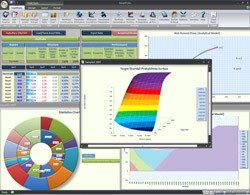 Along with the standard utility-based approach, SmartFolio incorporates another technique of determining your investment goal. This is based on the assumption that what you care most about when selecting your portfolio is the probability that your portfolio beats the target growth rate. Rates and probabilities are well-defined and very intuitive notions; therefore there is a much lower chance that you will not be satisfied with your investments just because your goals were estimated incorrectly.